I realize I have not written much about homework the last few years. Not because it is not worth writing about, but because I do not really give it. 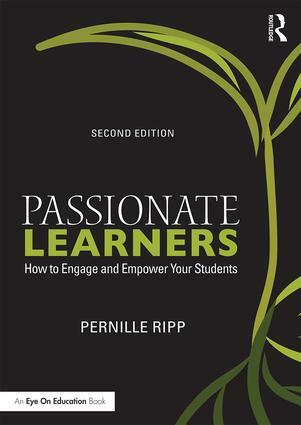 Yet, the other day, as I presented a workshop on passionate literacy, someone asked me how much homework my students have, when I told her they are asked to read 20 minutes and that is pretty much it, she was surprised. After all, how can we cover everything there is to do when we only have 45 minutes without giving homework? How can I provide enough practice for my students without telling them to work on something at home? How can I make sure they are ready for 8th grade, for high school, for college, for real life if I don’t ask them to work on things outside of class? Well, it turns out that there is a way to do this, where I am able to ask students to read outside of class but almost nothing else. I have written extensively about my decision to limit homework; some of the many reasons include the research that tells us how little benefit homework has for kids, how much it drives stress, the research on how much teachers versus students speak, but most importantly; my students telling me how they really feel about our homework practices. I realized that the kids who needed the extra practice, needed further teaching, not more work. That the kids who did the homework diligently didn’t really need to do it. That some things that were not meant to take a long time did. So seven years ago or so, I decided that I would try to limit the amount of homework as much possible, here is how we have done it. I start every year by telling students that in our classroom I will make them a promise; if they promise to work hard, then I promise to not assign homework beyond the 20 minutes of reading I expect every day outside of English. One of the big reasons often touted for assigning homework is that it builds time-management and resilience in children, but so does hard work in class. I make sure my students have enough work time in class to practice what they are learning. If they decide to not work hard, then the natural consequence is that they still have work to finish once the class is over. This approach has motivated many students to use their class time better, and it has definitely clued me into which kids are working super hard and still having a hard time understanding the work, then leading to further teaching. Rather than doing many small projects, I have the luxury in English of focusing on several large projects, we call this being a part of the slow learning movement. It is, therefore, rare that we have an assignment that requires being turned in the very next day. We don’t have quizzes or tests either, and so the bulk of what we do takes a week or longer, therefore allowing the students that need extra help or practice to get it in class. I used to take a more leisurely pace when I had the luxury of more time, but now a sense of urgency often drives us forward. This doesn’t mean we rush, it just means that time is precious in our classroom. At the beginning of the year, we discuss how to be more effective with our time and students quickly set up routines for this to happen. Instruction/exploration time starts the moment the bell rings and ends when the bell rings again. We don’t have a lot of transitions or downtime as students manipulate the learning environment as needed, most of the time, not waiting for me to tell them to get ready for something, find supplies, or any other small things that can end up taking a lot of time. This means that most days, though not all, we get the most out of the precious instructional minutes give to us; 45 minutes to be exact. We look at deadlines together. The team I am on have a shared Google calendar that I try to keep updated with big project/tests deadlines. This allows us to see at a glance where big things may collide and then gives us a way to avoid that. While not all deadlines can be moved, many can, and I have no problem adding an extra day if it means students will not experience the unnecessary burden of multiple things do, thus being able to produce higher quality work. Another part of our slow learning movement is that most projects cover multiple standards. That way I don’t have to constantly invent a project or an assessment and students are working on long-term goals, rather than short ones. It also means that many students can find success within a project even parts of it are still difficult for them. We have venues for extra practice. In the seven years since I have severely reduced homework, I have had one parent complain about it. Yet this is an assumption that runs rampant; how parents, other teachers, or even administration will react. I certainly do encourage you to partner with your administration, a great way to get permission is to ask to pilot limiting homework, and also discussing with your colleagues. Some may see it as a knock on their own practices, although it is not. In regard to the one parent complaint, I have had, this parent wanted more educational experiences for their child and I gladly provided them. I created a list of additional resources they could use with their child if they wanted to further practice their skills, in turn, I told them that I did not need further proof of their understanding and so all extra work could stay at home. Because I am dictated by a standards-based curriculum, I have the luxury of spiraling our standards. That means that all seven of our standards are taught in more than one quarter. Why does this matter? Because it means that even if a child does not achieve proficiency in a standard the first time it is explored, that standard will come back again, allowing me to assess them once more. I really try to monitor and actively limit how much time I spend giving direct instruction to students, instead of thinking of various ways I can scaffold the instruction I need to provide. Tools such as Google Classroom, anchor charts, and even extra handouts or other visuals (one of these years I will make videos as extra reference points) help students work through the progress rather than frontload all of the information. Because the students I teach are at so many different stages it simply does not make sense for me to deliver most of my instruction orally. We continually commit to it. Limiting homework has been such a natural part of our every day, and yet, it is also a commitment I make. It is not that all of my students “get” something the first time around, it is that I try to help them practice with the content in class, rather than outside of it. It is that I want to honor the commitment that kids bring to the work we do in class. It is that it is my job to figure out how to do the work we do within the time we are given. It doesn’t always happen, but most of the time it does. It, therefore, sounds incredibly simplistic, and I do not mean it as condescending, but limiting or completely getting rid of homework really does come to down to us; to how we spend our time in class, to how much we stop talking, to how we do not waste any time, to how we look at our curriculum as learning explorations and not stand-alone projects. To how we tell the kids that, in here, we will challenge them, but that means that they will get the reward of no work after if they rise to the occasion. That it is on them to use their time, to ask the questions they need answering, to reach out if somehow they are missed. Seven years ago I told myself that all of the extra work I assigned was not really worth the time of my students, and I was right. It turns out they don’t need the extra work to learn deeply. I love this Pernille! Thank you for posting it. Pernille, love this! Do you have any advice for getting parent support? I think that will be our biggest hurdle. Thanks for sharing! So many emotions wrapped up in this issue, when it’s ultimately an issue of time management (mine and students’) and trust (trusting them to be engaged and learn deeply in class). I love this! Thank you! My district is working on switching to standards based grading and currently have 13 based on the Common Core standards. Would you be wiling to share which 7 standards you use? I’d also love to see what your projects/units look like in your class. I completely agree and have been trying to do this same approach, but you explain it so much better than I ever could! Thanks! Do you feel the same is true in a math class, where procedural fluency (along with conceptual understanding) is also necessary? Yes, I think we need to incorporate that practice into our classtime. Remember; it is not that I think kids shouldn’t practice, it’s that we should be able to give them that time in class. I like the idea, but as a high school teacher, I struggle to have them read their novels etc. in class. Do you have suggestions on how you might handle homework with older students? I think we have to have students read in class with us, even if just for 10 minutes. After all, Allington and other researchers speak of the seed that it plants for further reading. 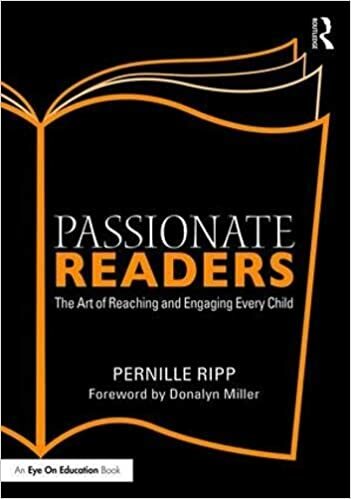 Also, if we do not have them read, we are essentially telling them that the most important thing they can do to become better readers is not something we have time to invest in our classrooms. I think many of the ideas that I use can be used with older students, especially because many of them are more independent than the younger kids. A big part of that is ensuring there are different paths to the learning: I survey my students often about how they would like to engage with materials (small group, whole class, by themselves, with a peer etc) and then adapt to that need. This also means that I am acutely aware of how much time I spend speaking in class because of the time it takes away from students work/asking questions/exploring.